By yr., make & Model you recommend 225/75R14. Car now has 215/75. What is difference? The 215/75R14 is one size smaller than 225/75R14. Specifically, about 1/2" shorter and narrower. See dimensions listed under "specifications" . 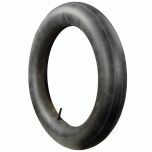 The original tire size was bias ply, 750-14 with an option of 800-14. The radial conversion sizes are 205/75R14 and 215/70R14 respectively. I have a 1964 olds 98 that came on H-78/14 then 225/75-14. 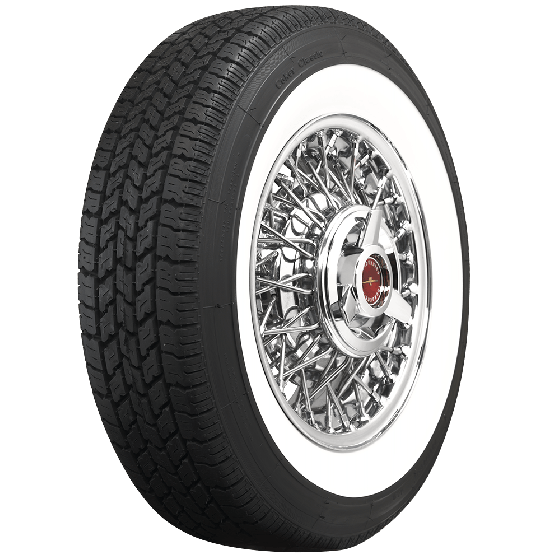 These tires were 1/4 whitewalls. A full whitewall will not be correct for my car. Hankook makes a 215/75-14 in a 1/4 wall but the tire looks very undersized for my car. Can you help? 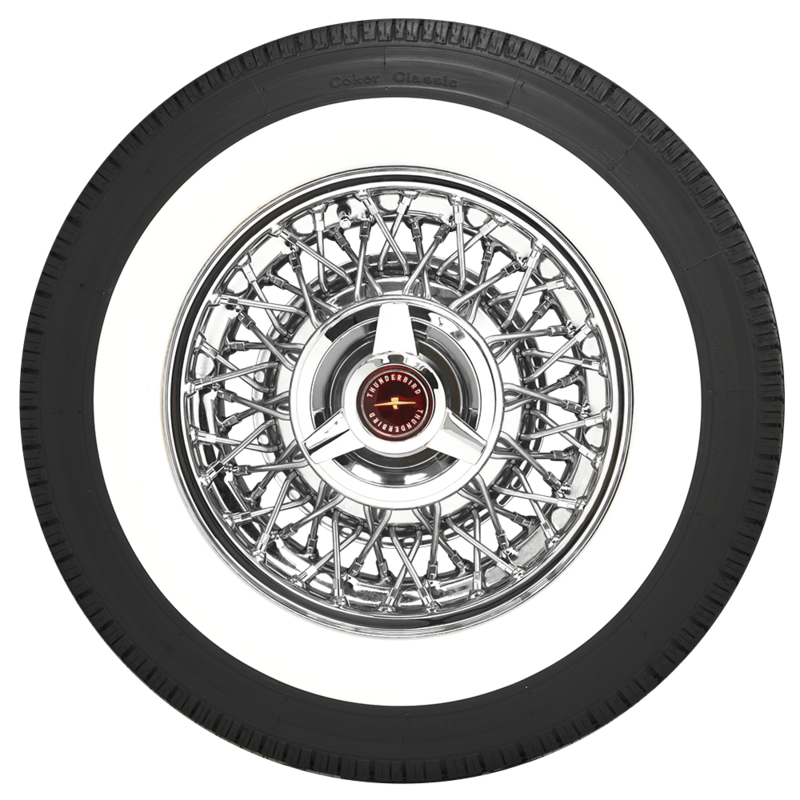 The 1964 Olds was factory equipped with 850-14 bias ply tires, with 900-14 being an option. Whitewalls were typically about an inch wide in 1964 as well. 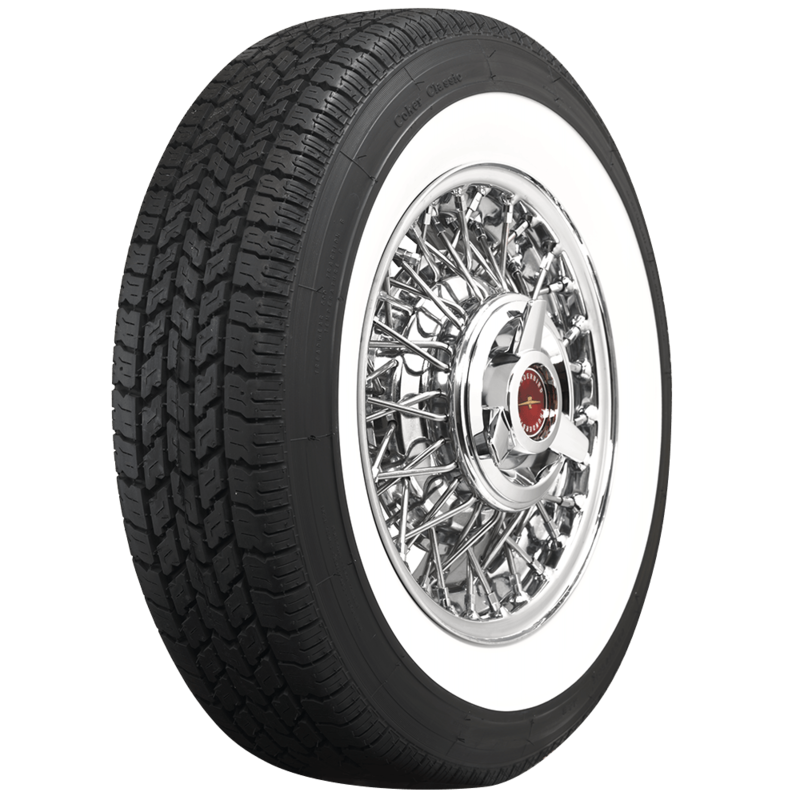 We can offer the larger option, 235/75R14 with a 1 inch whitewall here: American Classic 235/75R14.